In a large bowl, mix together peaches, sugar lemon juice and the extracts. Allow to stand for 15 min, stirring occasionally until the sugar is dissolved. Mash with a potato masher. Measure out 2 cups mashed peaches. Reserve the remaining peaches in a small bowl and chill until very cold. Puree the 2 cups peaches in blender, add heavy cream and pour into a clean bowl – cover and chill until VERY cold. I do this in the morning, and allow it to sit in the fridge. If you are in a hurry – put it into the freezer for about 20 minutes, but be sure to stir it occasionally so it doesn’t freeze to the side of the bowl. 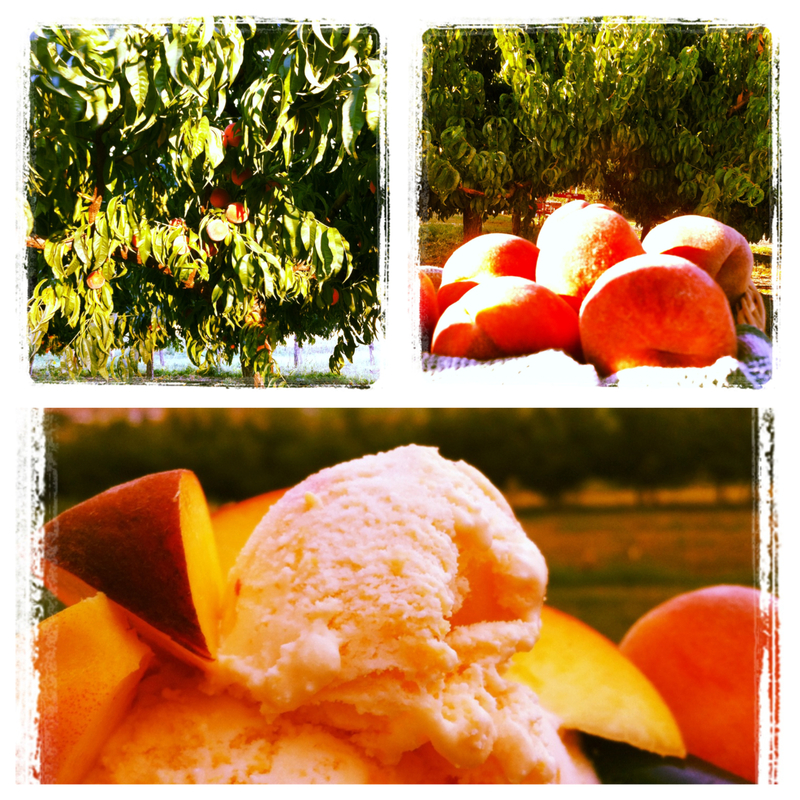 Churn the cream/peach mixture according to your manufacturer directions. During the last few minutes of churning, add the remaining chilled peaches. Put in airtight container in freezer. The ice cream is okay to eat now, as a REAL soft serve, but allowing it to set up in the freezer for a few hours improves both the texture and flavour. All ice cream machines are slightly different – with the peach/cream mixture I determine how much more volume I can add with the peaches during the last few moments of churning time. This entry was posted in Dessert, Recipes and tagged dessert, ice cream, peach, peaches, treat by Chatty Kathy. Bookmark the permalink.